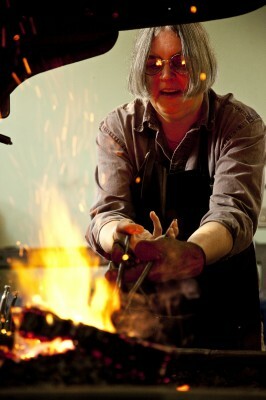 A “virtual gallery” of women’s ironwork, exhibited in Annapolis Royal, Nova Scotia, was shown during a celebration of female artist blacksmiths on International Women’s Day, March 8 2012. A selection of Sandra Barrett’s work was included. “Your work is lovely, and it’s a pleasure to have you involved.” said Brad Allen, who organized and compiled the virtual gallery.